The American foxhound is slighter of bone and higher on leg than the English foxhound, with more rear angulation and arch over the loin. These attributes give it greater speed and agility for hunting over rough terrain. It has a melodious voice when on the trail. Its coat is hard and of medium length. Its expression is gentle and pleading. The ears are broad and pendant, framing the face. The eyes are large and wide-set, either brown or hazel, with a sweet, imploring expression. The ears are wide and flat to the head. The tail is set moderately high with a slight upward curve, but is not turned forward over the back. The short, hard coat may be any color. 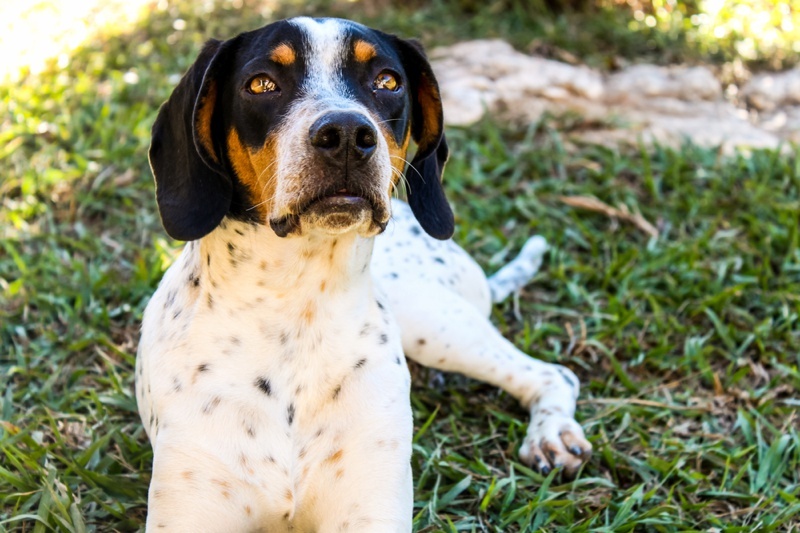 The American Foxhound is sweet, affectionate, gentle and loving at home, but also a brave and intense warrior in the hunt. They are excellent with children and get along well with other dogs because of their pack-hunting background, but should not be trusted with non-canine pets. It needs daily exercise in a safe area. Once on a scent, it will follow gleefully, heedless of commands. This is a dog that likes the outdoors; it is not a city dog. It bays. This dog is extremely energetic and tireless. It is very important that it gets daily vigorous exercise to prevent extreme indoor restlessness. This breed should not be taken on as a family pet unless the family can guarantee plenty of vigorous exercise. 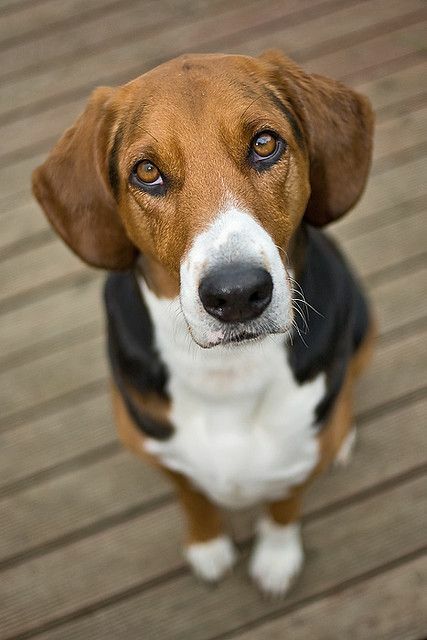 The American Foxhound is directly descended from English hounds brought to America in 1650 and bred over a century later to a French hound sent as a gift by Lafayette to George Washington.